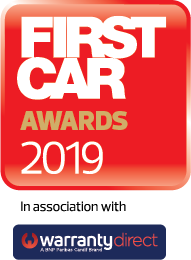 The FirstCar Awards 2019 will take place on 6th February at the prestigious Royal Automobile Club, Pall Mall, London. The 2019 Awards has an expanded set of awards with 18 in total. There are six new award categories - marketing campaign, app, road safety initiative, finance product, retailer and the most wanted car which is voted by the young driver themselves. The used car and new car categories have been expanded too. Entries are now open for a number of award categories, including the Road Safety Initiative of the Year award. This new award for 2019 is for innovations in driver training, online learning, and road safety education. FirstCar is looking for initiatives which support new drivers, their instructors, and road safety practitioners in improving road safety.